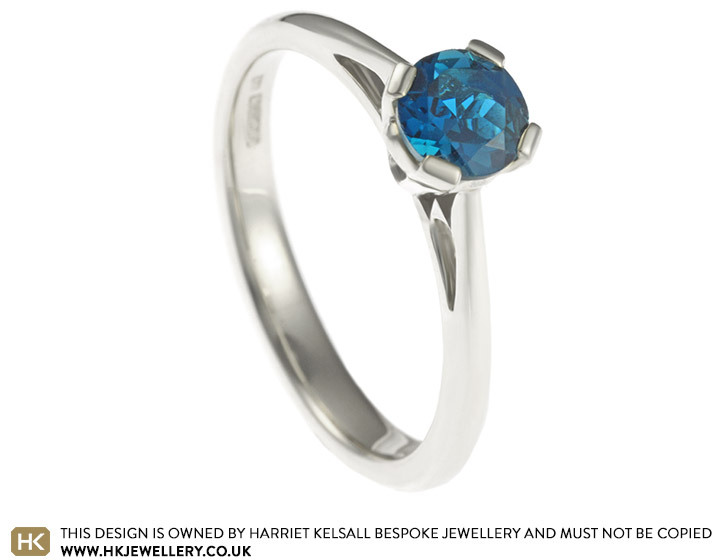 Helen and Steve came in to the Cambridge studio to commission this stunning bespoke, hand finished 9ct white gold engagement ring. 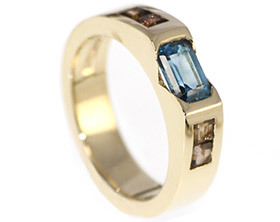 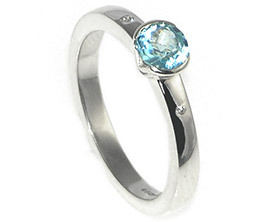 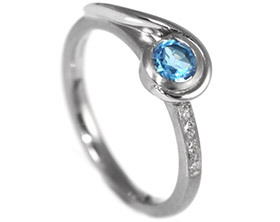 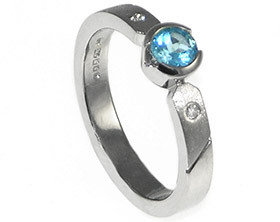 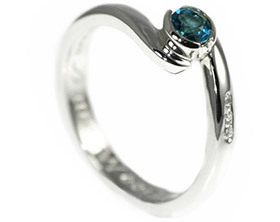 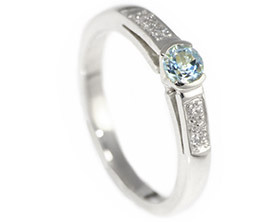 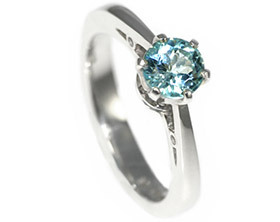 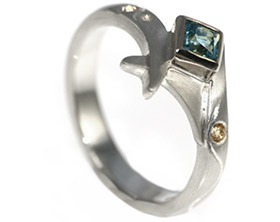 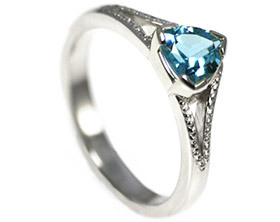 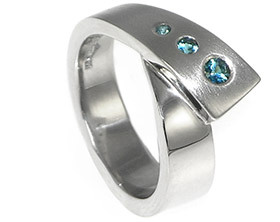 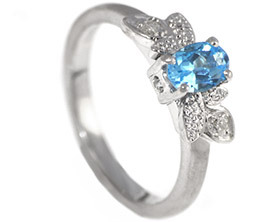 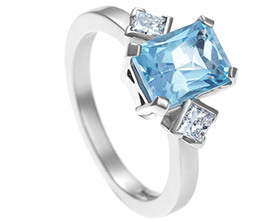 The elegant 2mm wide D-shaped band leads up into the 4-claw setting which holds a brilliant cut 5mm 0.48ct London Blue topaz. 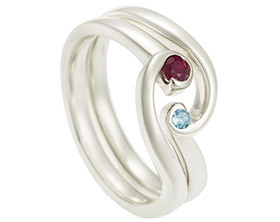 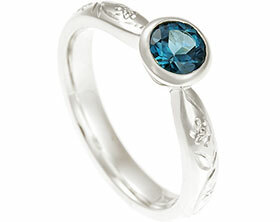 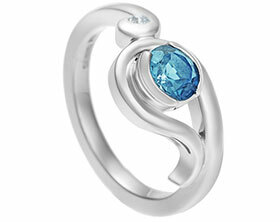 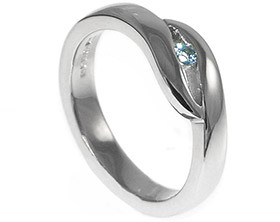 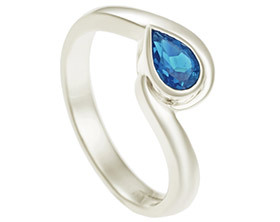 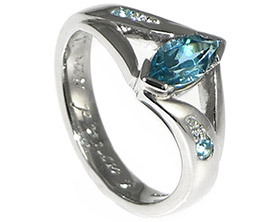 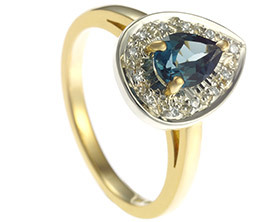 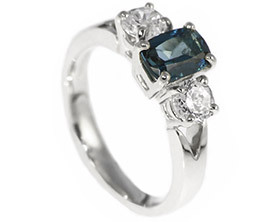 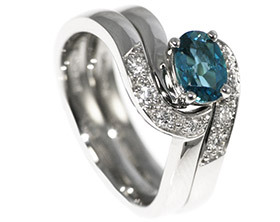 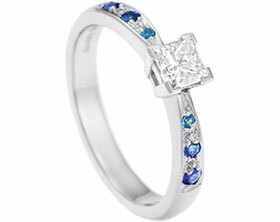 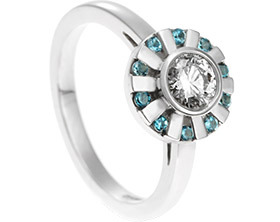 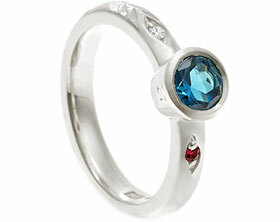 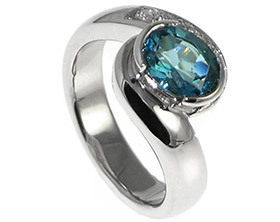 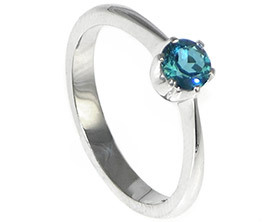 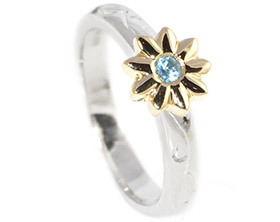 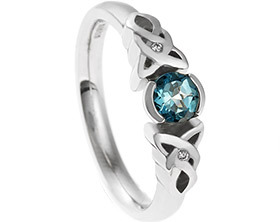 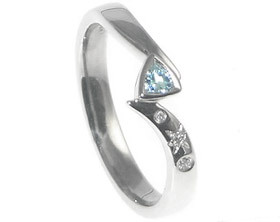 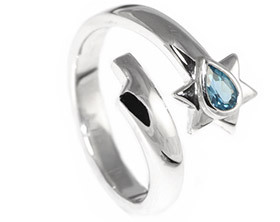 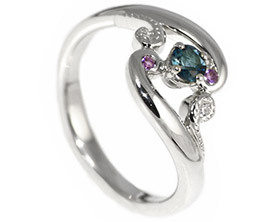 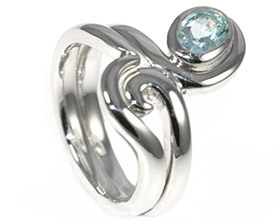 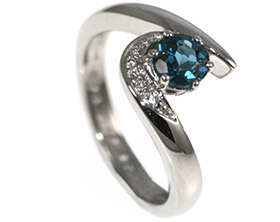 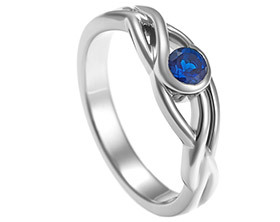 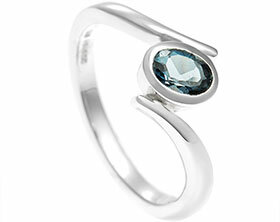 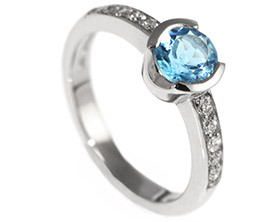 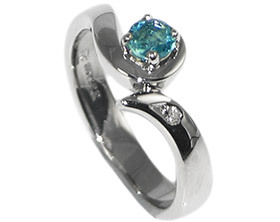 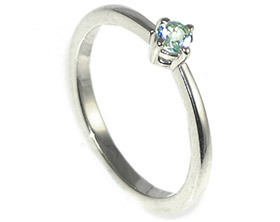 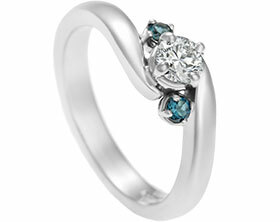 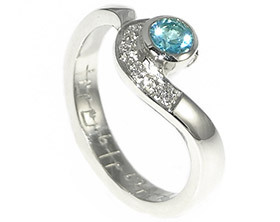 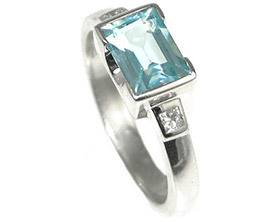 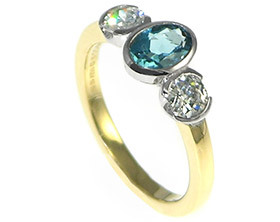 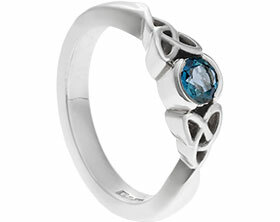 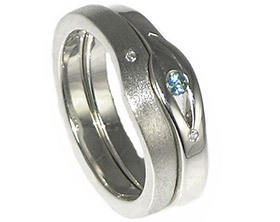 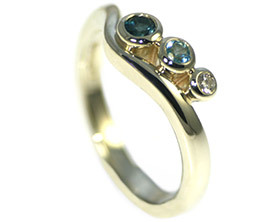 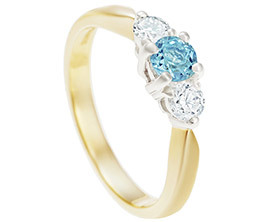 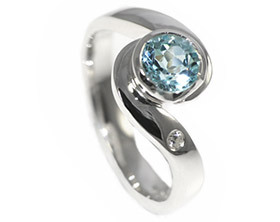 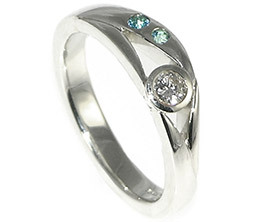 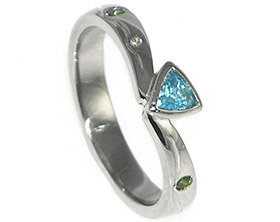 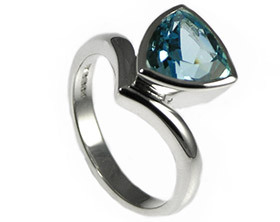 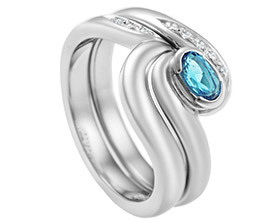 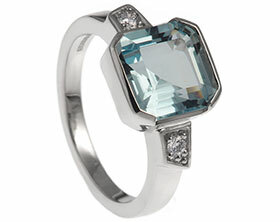 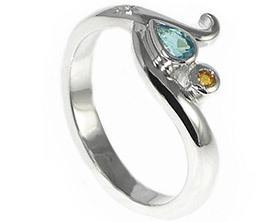 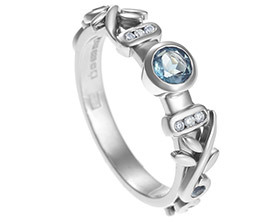 The ring has a highly polished finish to add to the sparkle.